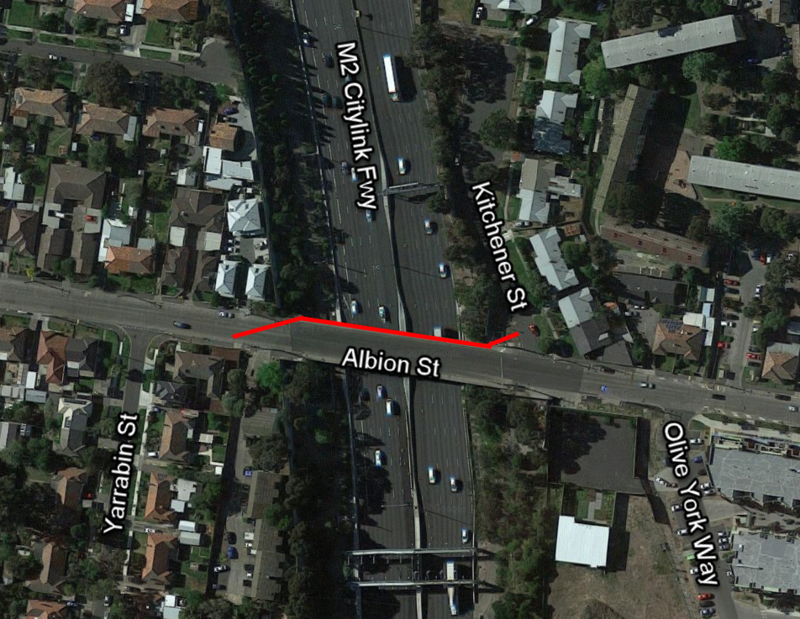 In August 2018, we finished building a new 110-metre-long sewer pipe and attaching it to the side of the Albion Street bridge, which has improved the reliability of the sewerage system and reduced the likelihood of sewage spills occurring due to pipe blockages. The new pipe crosses over the M2 Citylink Freeway, and is a back-up to an existing sewer pipe servicing the area. The red line shows where the new pipe was built. Drilling new brackets to the outside of the bridge to hold the new sewer pipe. Lifting the new sewer pipe into place, and welding it to the new brackets. If you have any questions or feedback about this project, please call our project manager, Rebecca King, on 9872 2617.